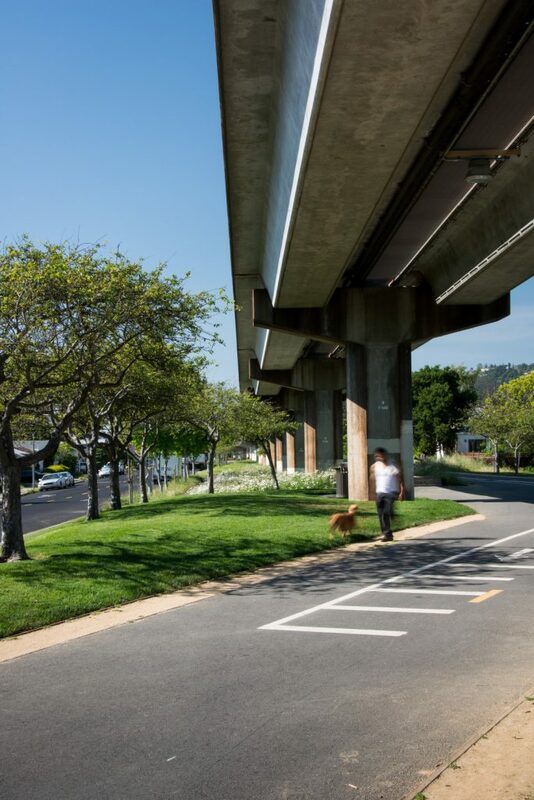 This complex BART project involved the renovation of seven miles of landscape disturbed by the seismic retrofitting of approximately 200 piers and abutments of aerial railway segments along BART’s C, R and M lines, spanning 6 cities. 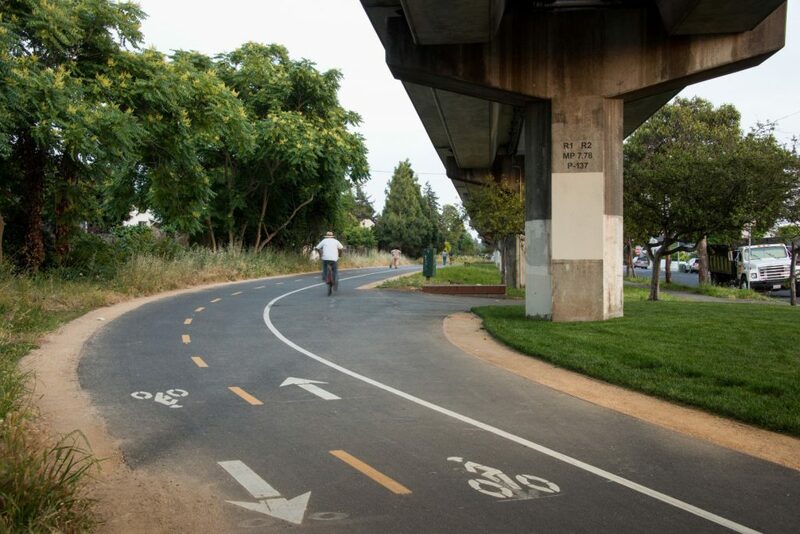 The project realigned and widened much of Ohlone Greenway, making it wider and street crossings safer. With extensive field work and quality control coordinated with two large teams of consultants, PGAdesign verified existing landscape elements from non-BFS or CADD (standards) documents, and produced drawings that held up to exacting standards and review processes. PGAdesign worked with the various city governments, creating several graphic displays & sketches to illustrate additional design elements that cities requested. 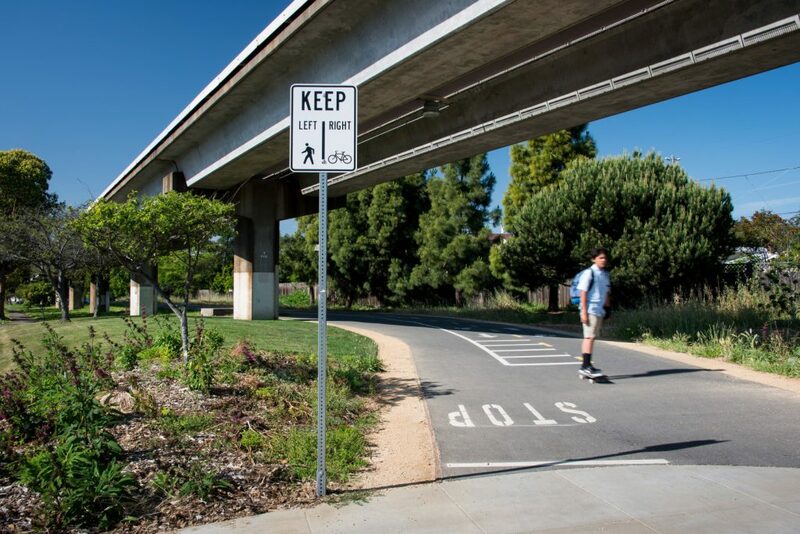 Our landscape architects met the need for in-kind plant replacements with innovative, sustainable plantings that will require low maintenance yet appealing landscape. 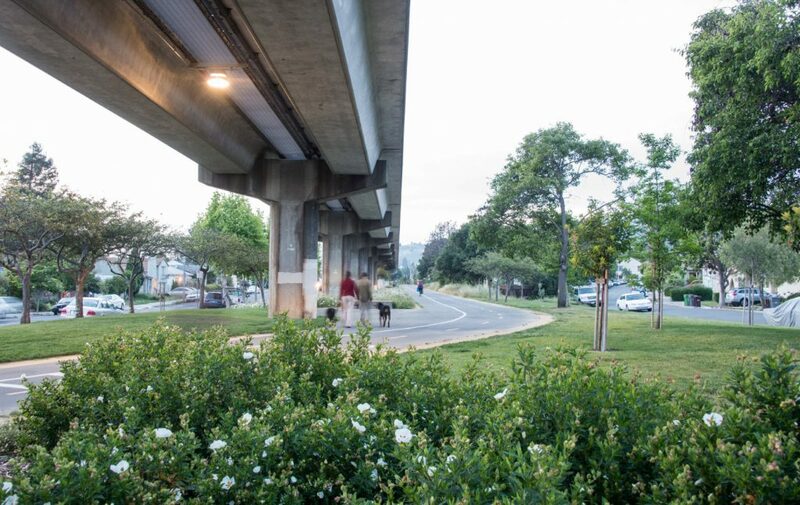 In Oakland, for example, PGA proposed replacing an irrigated lawn with ornamental grasses and other drought-tolerant species sustained by a durable and efficient bubbler irrigation system, combined with sheet mulch to control weeds and retain soil moisture. 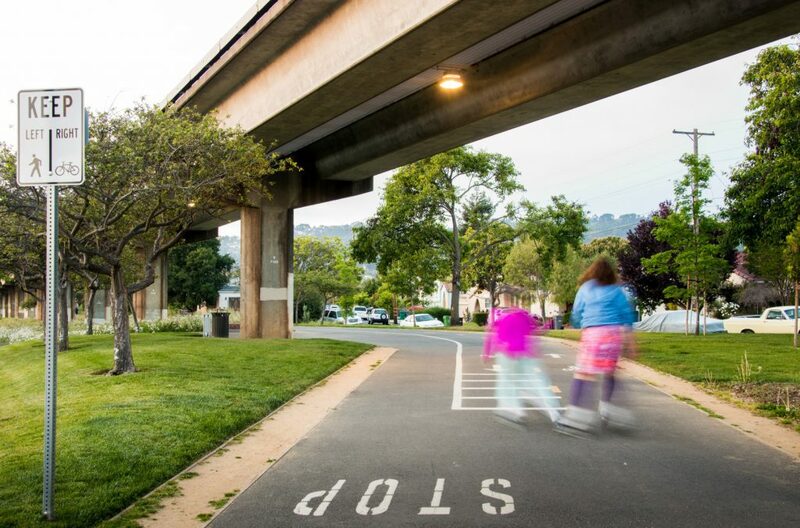 Bubblers will also irrigate a mixture of native California shrubs replacing several hundred yards of ice plant along the Millbrae line.